It is 10 pm on a Friday summer night and Riley is crying beside her bay window as Farkle walks in to see her in tears. Lucas has just broken up with her. "Riley? What&apos;s wrong?" Farkle sits next to her and looks her in the eyes, concerned. Riley tries to hide her tears but since she&apos;s with Farkle, she doesn&apos;t need to hide anything. "Lucas broke up with me." She lets out another tear when her voice breaks in frustration. "Oh my gosh, I&apos;m so sorry Riley." 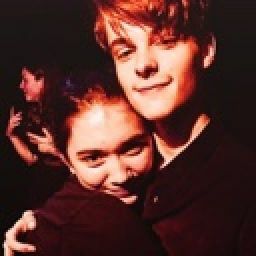 Riley then bursts into a waterfall and Farkle embraces his arms around her in support. They stay embraced in a warm hug for about a minute, before Riley&apos;s crying settles down. "Thank you, Farkle. I don&apos;t know what to say, this is all so frustrating and confusing. I don&apos;t know if anyone will ever love me again." She wipes a tear off her cheek. Farkle is shocked when she says that. He loves her, Maya loves her, the Matthews family deeply loves her. He gets it though. This is how he felt after he broke up with Smackle. You ignore any love, because you don&apos;t trust love anymore. You&apos;re heartbroken. "I love you." Farkle murmurs. Riley takes her head off his shoulder and looks into his bright blue eyes. "You do?" She smiles, with hope. "I love you, too." Farkle is shocked. He doesn&apos;t know what to say. He has loved her since the 1st grade, he almost gave up on her because of Lucas. Now this was his one chance. But was now the right time? "Riley, I -" She puts her hand on his cheek with a warm smile. Farkle can&apos;t help but blush as his cheeks turn a bright pink. He smiles back, and gazes into her chocolate brown eyes. "Riley, I want you to know that I am always here for you, because I love you, and care about you." He says this as he and Riley are two inches apart, both locking eyes in an almost-embrace. Riley smiles, she is lucky to have a friend like him in her life. It&apos;s at that moment, they know, they&apos;re meant for each other. Farkle combs his fingers through Riley&apos;s dark chocolate brown hair. She laughs, and moves her hand around his face. Farkle slowly leans in for a kiss, "You&apos;re so beautiful." Riley smiles again. Their lips gently brush together as they both laugh but kiss very passionately. Farkle moves his hand to her neck, then places his lips on her collar bone and starts sucking. He hears Riley&apos;s moan, and it turns him on, so he keeps on going. Farkle feels Riley all over his body as she is kissing him. She feels an instant sensation and can&apos;t help how beautiful Farkle&apos;s lips are.